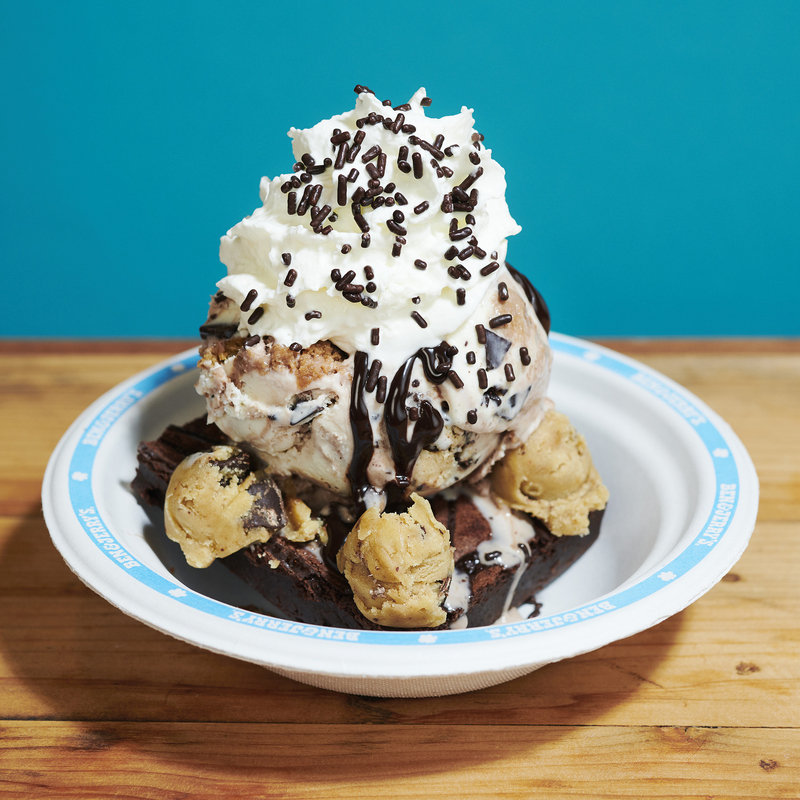 Chip Off the Dough Block—Chocolate chip and chocolate ice creams with chocolate chip cookie dough & chocolate chip cookies. P.B. 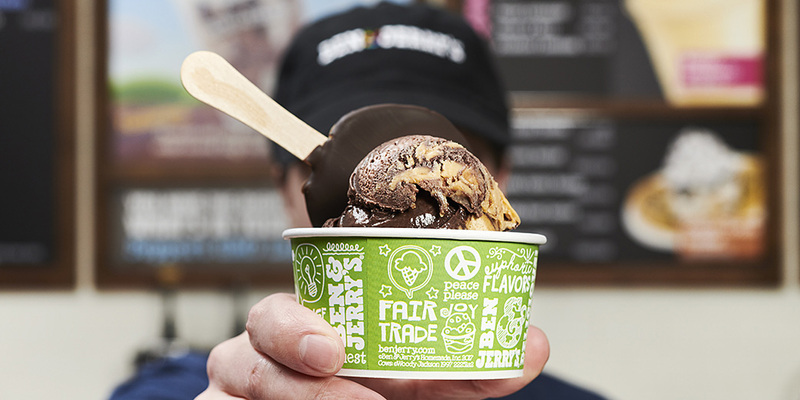 Dough-ble Chocolate—Dark and milk chocolate ice creams with peanut butter cookie dough & swirls of peanut butter cookie butter. Cinn-Dough-rella—Cinnamon and caramel ice creams with cinnamon bun dough, shortbread cookies & oatmeal cinnamon cookie swirls. 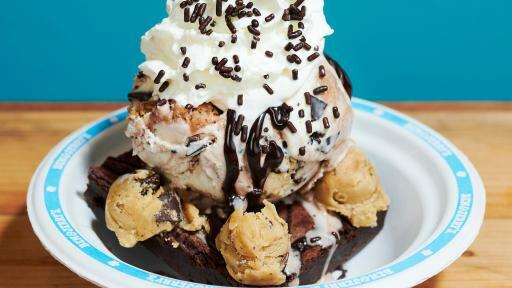 Half Baked Sundae—Brownie, gobs of cookie dough, and your favorite flavor. 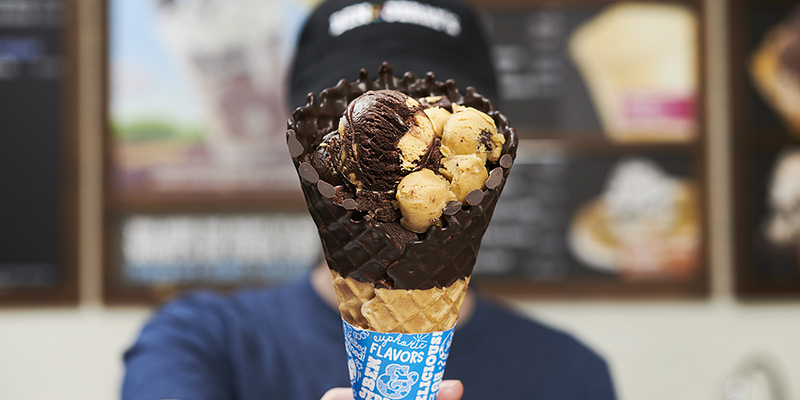 Chocolate Dipped Waffle Cone—Two scoops of your favorite flavor in a chocolate-dipped waffle cone, topped with edible cookie dough. 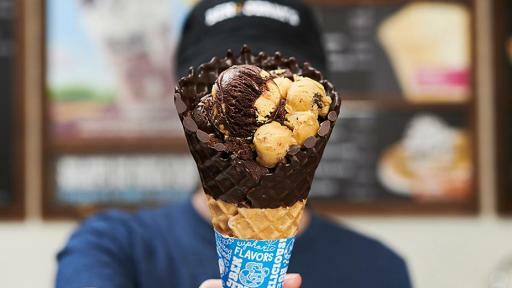 Put a Dough Pop on It—Two scoops of your favorite flavor with a chocolate-dipped cookie dough pop. 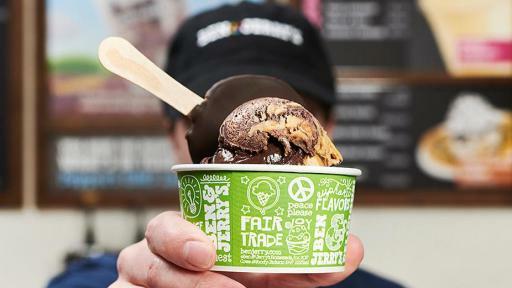 Ben & Jerry’s is excited to continue its cookie dough legacy with these new flavors, as dough has been a consistent fan favorite around the world. 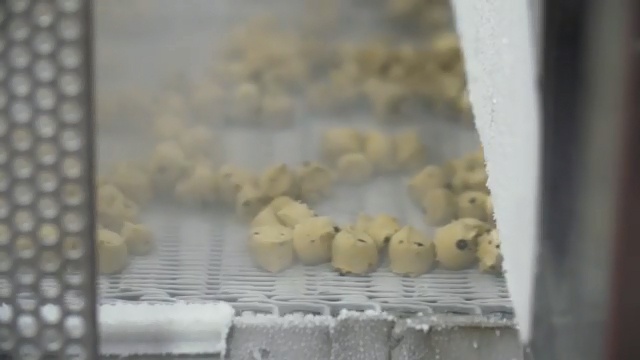 Chocolate Chip Cookie Dough has been a top 10 flavor since it was introduced more than 30 years ago.